TV interviewer (on Vidal’s running for a Democrat candidacy in 1982): Did you like that experience? All the hand shaking? Gore Vidal: Oh yes. I love that. I like crowds. I have depths of insincerity as yet unplumbed. 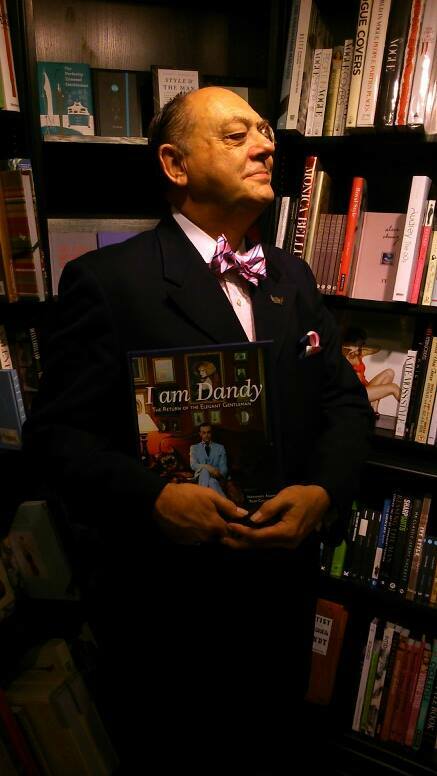 Sitting in the Barbican Cinema Café this evening, I am recognised from the I Am Dandy book. This time it’s by one of the other dandies within its pages: the pristinely moustachioed Johnny Vercoutre, there to see The Revenant (‘It’s very Boys’ Own,’ I tell him). Getting out the dandy book at home, I see he’s on page 238. 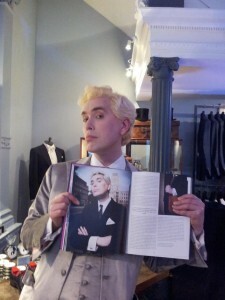 I’m on page 42, looking rather otherworldly in my chalk white suit. There’s whiteness around me too: the picture was taken in a snow-covered Parkland Walk, here in Highgate. Being a Douglas Adams fan, I can’t help feeling pleased by my page number’s association with Hitchhiker’s Guide to the Galaxy. 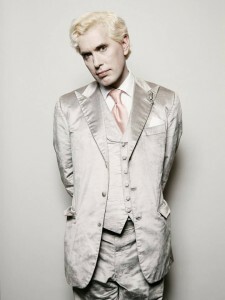 Here, 42 means the answer to life, the universe, and Highgate dandyism. Of course, Marvin’s saving grace is that his depression manifests as a form of amiability, much like Eeyore’s does in Winnie the Pooh. Huggable depressives. In the film version of Hitchhiker’s, Marvin’s voice was perfectly cast in the form of Alan Rickman, who died the other day. He was an actor I was lucky enough to see on stage in the 80s, at the Barbican in fact. Back then he played another great huggable depressive – Jacques in As You Like It. I don’t know if a recording exists of Mr Rickman doing the ‘All the world’s a stage’ speech, but given his voice was so memorable, it’s easy to imagine it. There’s a further Rickman connection here: one of his best films, Truly Madly Deeply, is set in Highgate. In one scene Juliet Stevenson walks out of Highgate Tube station, very close to where the I Am Dandy photo was taken. Shanthi S points out to me how Bowie in drag (as seen in the ‘Boys Keep Swinging’ vid) rather resembles Billie Whitelaw, she of Samuel Beckett fame. Indeed, it’s a shame Bowie never acted in a Beckett play himself: he’d have been perfect. MA class tonight: Barbara Kingsolver’s Flight Behaviour. An environmentally-themed novel, with lots of detail about working class farm life in the Appalachians. Some Hardy-esque elements: strong female characters with Biblical names, dreaming of affairs amid the sheep-shearing. Less Hardy-like are the references to the internet and Google, though the protagonist is too poor to have her own computer, despite being a twenty-something American in 2010. There’s a wry scene in which an environmental campaigner suggests the heroine cuts down on her carbon footprint by taking fewer flights. She and her husband have yet to travel outside of the state. It’s a neat illustration of media solipsism – the way one forgets how plenty of people in the US (and indeed the UK) still have none of the technological convenience enjoyed by the majority. I look up the latest figures for adults without internet access. It’s 11% in the UK (6 million people), 15% in the US (47 million). It’s one reason why public libraries are still essential, with their free internet terminals. Certainly the programme touches on one unassailable truth about the appeal of trolling. It’s about wanting to feel powerful. Another phone call from someone claiming to be from ‘the technical department of Windows’. They want to provide remote access to my computer so they can deal with ‘hacking’. Apart from anything else, the people behind these obvious scams don’t seem to realise that Windows is a product, not a company. This one hangs up at the slightest challenge. I learn that I am affected by the Department for Work and Pensions’s ‘new rules’, and may have to get by on less than I’d thought. Much of this week is spent on the phone to their blameless staffers, resisting the urge to make comments about the whereabouts of Mr Duncan Smith’s heart. I suspect they get that a lot. 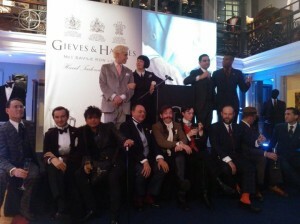 They sigh down the line and use phrases such as ‘our hands are tied’. They also tell me to try the Citizens’ Advice Bureau. This is a clever ploy, because many of the CABs are themselves on the receiving end of ‘new rules’, in the shape of government cuts. There are now fewer of them per borough, and the ones that are still going are rarely open for more than a handful of hours a week. The upshot is that I traipse over to Tottenham twice this week. There, I sit in a prefabricated bungalow located in an alleyway near Bruce Grove station, in a colourless waiting room not unlike the ones in documentaries about prisons. I have to go twice, because the first time all the appointment slots are filled up before me. The second time I go, I still have to wait two and half hours in the waiting room before finally seeing an advisor. Her advice, such as it is, is that I need to take my money woes to a more specialist office in Crouch End. And so it goes on. I take a train from Bruce Grove into Liverpool Street, and walk around the gleaming skyscrapers of the financial district. The contrast between these looming citadels of wealth and the rundown, deprived streets of Tottenham, mere minutes away, has never been more shocking. Anyone doubting the appeal of Mr Corbyn needs to make this journey. Jackie Collins dies. In the papers there are a number of ‘guilty pleasure’ tributes for her novels, along with lots of photographs taken during her modelling career. Like Joan Crawford, and indeed like her own sister Joan, she managed to project a level of camp at every stage. A picture from 1956 shows a 19-year-old Jackie at an Earl’s Court motor show, posing with ‘The Goggomobil T300 – the smallest family four-seater car on the market’. She smiles at the camera while stepping out of this stunted vehicle, showing off a zebra print two-piece which matches the car’s own upholstery. A caption confirms that her clothes are indeed designed by ‘Car Robes, makers of car seat covers’. Low Camp she may have been at the time, she went on to turn this ability into a knowing and deliberate form of High Camp, and to lucrative effect too. It is what Quentin Crisp calls getting the joke on your own terms. 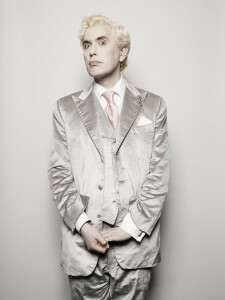 I am on a bus in Crouch End when a man in a corduroy suit gets on and engages me in conversation. It turns out that he knows me from the book I Am Dandy. We have a conversation about the various definitions of dandyism, and how dandyism relates to the breaking of one set of rules while adhering to another. Then he asks me for employment advice, given he sees himself as a dandy too. I quote Crisp on the subject – try life modelling in art schools, because it fulfils a societal role while having the mild air of scandal. The other suggestion is anything involving the use of one’s own unique persona. This can include teaching, performing, lecturing, writing, or even tour guide work. 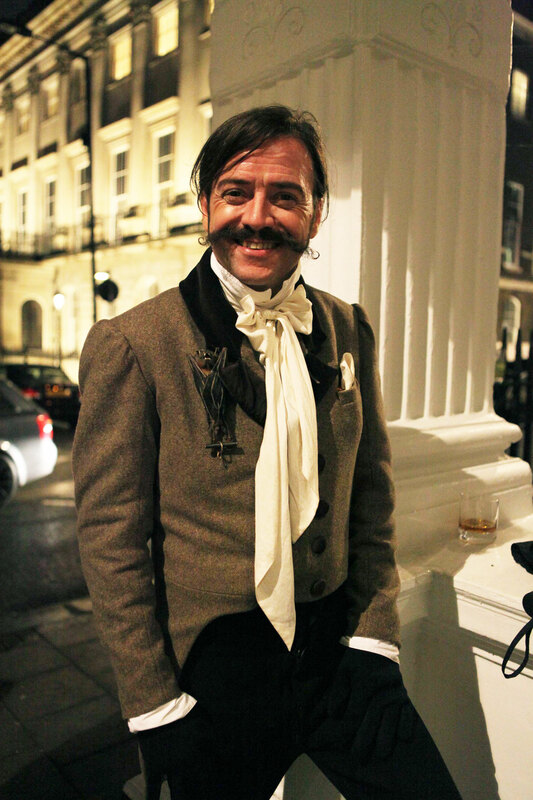 As I’ve found from my own experience, a tour guide can often be dandy-like in spirit. They can tailor the facts of a gallery or museum to fit their own bespoke personality. And of course, tour guides have to perform a form of outsider’s view, because tourists and outsiders share a common border. I was reminded of the time I was recognised in the street for being in the band Orlando. This was long after I’d left the band and was back on the dole. The person who recognised me said that he too was in a band, and did I have any advice on how to make it in the music business? The Daily Mail runs excerpts from a unkind book on David Cameron, written by Lord Ashcroft, his former friend. Chief among the revelations – or rather, allegations – are those involving debauched conduct at Oxford University during the 80s, especially an act involving an ‘intimate part of the future Prime Minister’s anatomy’ with a dead pig’s head. What interests me is the mention of Brideshead Revisited. At the time, the TV series had apparently made such an impression on Mr Cameron’s college friends that they all wanted ‘to play at being Sebastian Flyte’ and ‘live the Brideshead lifestyle’, according to the new book. The pig incident was part of this aspiration. 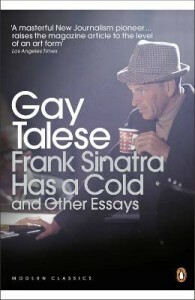 As tributes to Evelyn Waugh go, the very public circulation of this one takes some beating, regardless of its veracity. I think Waugh himself, who so bemoaned the defeat of the Conservatives in 1945, would have been very pleased, even proud. Snark: a word that combines ‘snide’ and ‘remark’, often used as a default emotion on social media. But when viewed properly, snark is just a less honest kind of loneliness. This occurs to me when I glance at the online response to the Morrissey novel, List of the Lost, which is published today. The trouble is, it’s impossible to judge the novel for its own worth, because of who the author is. The only reviews I’d really want to read are ones from a parallel world, where it was published pseudonymously. I will read it and judge for myself as soon as I can. But then, I’m already on its side, just because so many critics rushed to savage it. From the extracts, it sounds a little like Ronald Firbank. Facebook can sometimes feel like a memorial of gently-faded friendships. Today the site briefly crashes. I imagine it being hacked by someone who couldn’t take any more photos of weddings they had not been invited to. I have my hair cut short into its natural brown, ready to be freshly re-bleached. It makes me realise how large my head is. I look like a camp Easter Island statue. If you enjoy this advert-free diary, please help support it with a donation to the Diary Fund. Thank you. Friday 11th October 2013. A rainy afternoon spent in Piccadilly with Ray Frensham, fellow subject of the book I Am Dandy and author of Teach Yourself Screenwriting. He takes me for lunch at Brasserie Zedel in Sherwood Street. Once the Atlantic Bar, it’s now a rather splendid and ornate place to meet friends for a meal. Like the Wolseley, it’s actually possible to eat there relatively cheaply if one chooses carefully. You forget it’s in a basement somewhere under Regent Street – the ceiling is so high and the decor so gilded that it manages to feel downright airy. Mr Frensham is full of entertaining anecdotes, and talks about how his romantic life became more fun after he hit 50 rather than before. The key ingredient being the sense of finally being at home in one’s skin. I certainly find that reassuring. 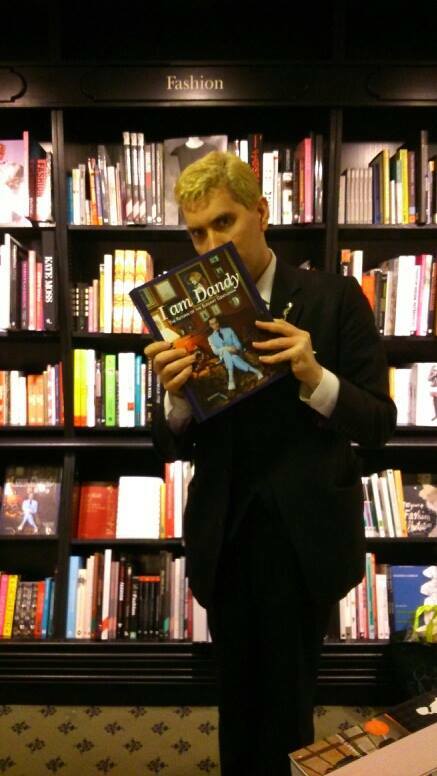 We mooch around Hatchard’s bookshop afterwards, and take photos of each other with the dandy book. Hatchard’s has quite a few copies, filed under Fashion. I’ve since re-bleached my hair so it’s now a little less yellow. Not keen on resembling a sexually confused Eminem. There’s also a new blog post about the book at the website for Bergdorf Goodman, the New York department store. 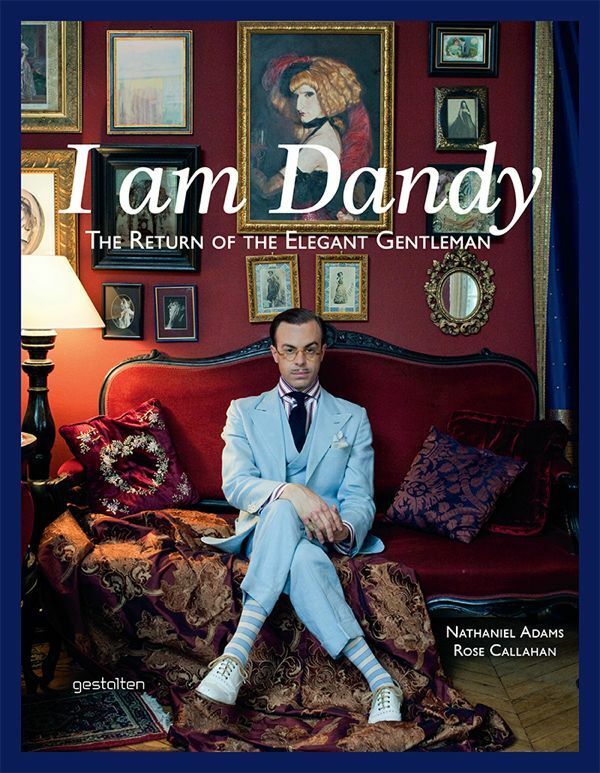 I am featured as an example of The Dandy As Decadent, with an ‘under-worldly style’. Mr Frensham tells me that his appearance in the book has already led to offers for modelling suits and so forth. I haven’t heard anything myself – yet. It would obviously be nice if something came of appearing in either that or in the big new diary book (A London Year). But then, it’s just nice to be included for something I’m happy to be included for. As I think it says on the gates of the Underworld.